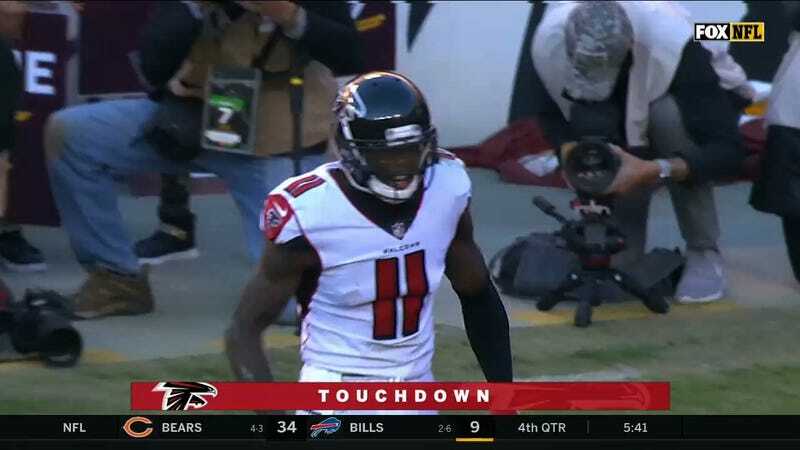 It took over seven games, 59 receptions and 898 yards but Julio Jones finally scored his first touchdown of the season. Matt Ryan connected with his star receiver on a 3rd-and-two screen pass at Washington’s 35-yard line. The recently-traded HaHa Clinton-Dix almost forced Jones to fall before crossing the goal line, but the receiver’s willpower kept him going for the score. Jones’s inability to get into the end zone was starting to become comical, especially considering he was averaging well over a hundred yards receiving per game. Six other Atlanta receivers had caught touchdowns from Ryan before today’s game, with four having caught more than one. 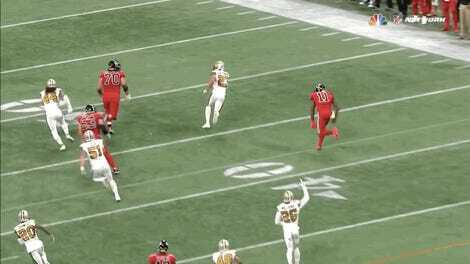 When Calvin Ridley broke out as a solid receiving option earlier this season with his three-touchdown game against the Saints, Jones’s chances of scoring began to look quite bleak. But the drought is over and now he can try to beat his total from last season (3) which is still up in the air at this point.